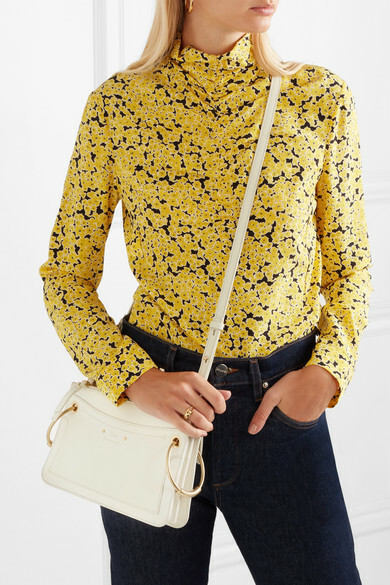 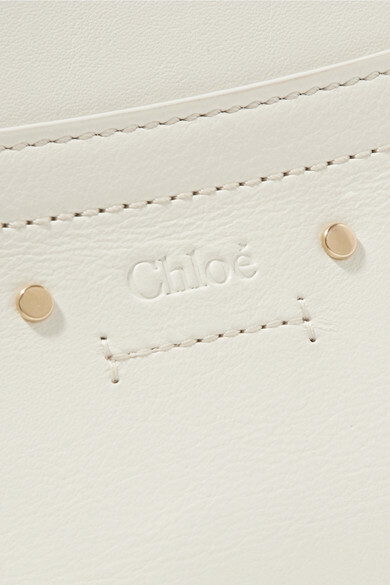 If you're already a fan of Chloé's 'Roy' bag then this new mini version is definitely one to invest in quickly. 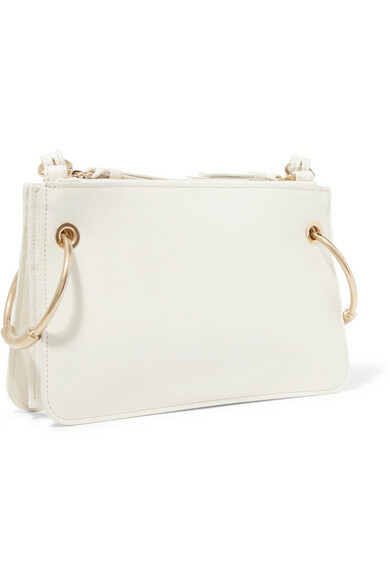 Made in Italy from panels of leather and buttery suede, it's accented with the same oversized gold rings as the bigger style. 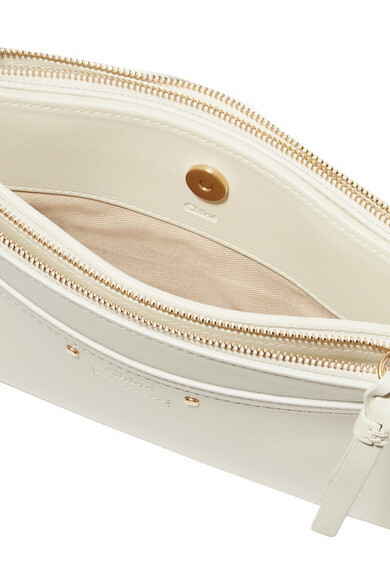 Don't be fooled by the slender shape - it has three compartments to organize small essentials, plus a front slip pocket. 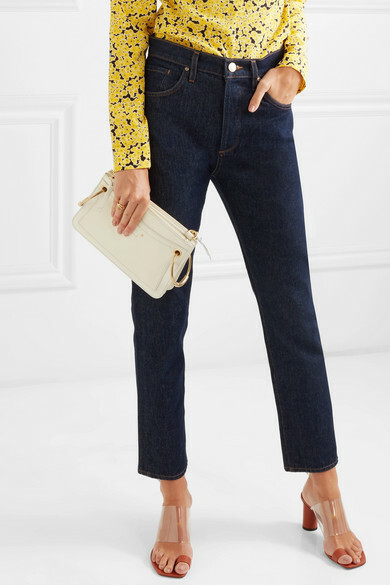 Shown here with: Goldsign Jeans, Cédric Charlier Top, Neous Sandals, Paola Vilas Ring, Dinosaur Designs Earrings.